The Fine Arts Museums of San Francisco are the 4th largest museum in the US and are proud to welcome 1.7 million visitors each year across its two sites. The Fine Arts Museums understood that to sustain their success, they needed to make substantial and fundamental changes to their soon-to-be-retired legacy ticketing system. The existing system had been in use for a number of years and both the museum, and digital marketing possibilities had overtaken it. As a proactive organization, they realized that as part of their digital business strategy, improved museum software could also transform andadvance other areas of their business, especially customer-oriented ones. What they had envisioned was essentially a cloud-based CRM model which would take them forward for the foresee able future. This decision was based on the cloud’s ability to offer reliability, security, scalability, ease of deployment and maintenance, and managed budgeting. The criteria for the digital platform strategy which the Fine Arts Museums of San Francisco described would provide them with an innovative software solution from which to base their business model for the future; Salesforce seemed the ideal solution. Salesforce gave the museums thedigital platform from which to address all of their requirements. Using Salesforce’s integrated cloud solution as their museum’s software enabled them to provide a customer-centric ticketing presence which would handle not only visitors to the museum, but also their donorship and membership programs. It would also provide live customer data which could be used in future digital marketing campaigns. Salesforce’s software in the cloud-based CRM would provide the tools for their sales teams to become proficient in obtaining, nurturing and interacting with customers. Through its interface, they could instantly find the pertinent data that leads to smarter deals and more satisfied customers.All their customer information and interactions would be stored in one place, accessible from anywhere. Pre-built dashboards would allow the museum staff to dynamically explore information and identify trends as well as visualize key performance indicators. They could see who has visited, what they have come to see, and how often. Salesforce’s best practices and in-line intelligence would help identify marketing potential, based on collated information. Another requirement was that the digital strategic development would increase revenue. Salesforce’s could-based solution enabled the museums to budget, and allocate their budgets, according to data fed back from the platform; simply put, they could see what was, or was not working. This allowed them to leverage actual metrics to quantify their ROIs. The smart and customizable pricing policy of Salesforce meant that they could better plan and manage their budget. The museum’s innovative ticket sales portal has been positively received by customers and has even resulted in an increase of pre-arrival ticket purchases, and thus reduced lines at the museums. This was one of their key areas for improvement. 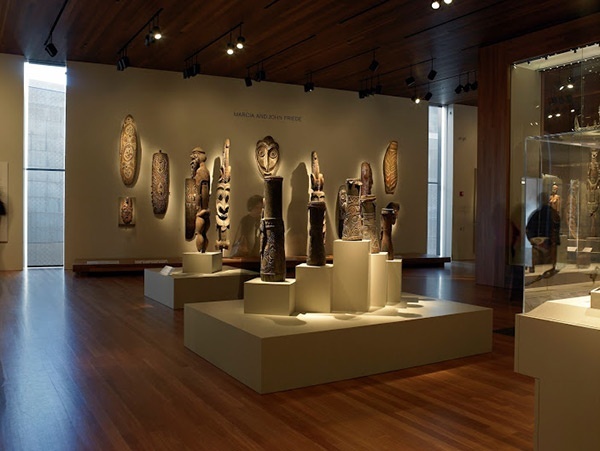 Salesforce’s cloud CRM capabilities have allowed the museums to better manage their customer interaction, and they can draw on a large amount of personal data from which to base future marketing and promotional campaigns. Built in automation enabled the creation of new business processes which makes the organization work-flows more accurate, more reliable and faster. The Fine Arts Museums have already automated processes such as email marketing and responses, ticket order processing, customer management, information sharing, and visitor forecasting analysis. The digitization has boosted the organization’s business fitness value, and has enabled new insights which has resulted in increased efficiency, with improved and better documented ROI. The Fine Arts Museums are now secure in the knowledge that their new digital platform will keep them at the top of their game for the foreseeable future. Salesforce is now classed as a critical corporate asset to the business. We now regard Salesforce as a critical corporate asset to our business. Personalization through Salesforce enabled DonorsChoose.org to increase donor conversion by 300%. Download Cochlear success story in an impressive PDF layout for your future report.